Mr Charles Heath was a neighbour and appeared to be a close friend of John Stanaway. He lived in Whakahara and had been a settler on the banks of the Wairoa River since the year 1840. He married late in life (1867) to Elizabeth Jane Batten and had two children, the first a son born 4 July 1868 then a daughter born after his death on 27 Febuary 1870. From the Daily Southern Cross on 16 October 1869, Charles was listed as an authorised interpreter of the Native Lands Court. 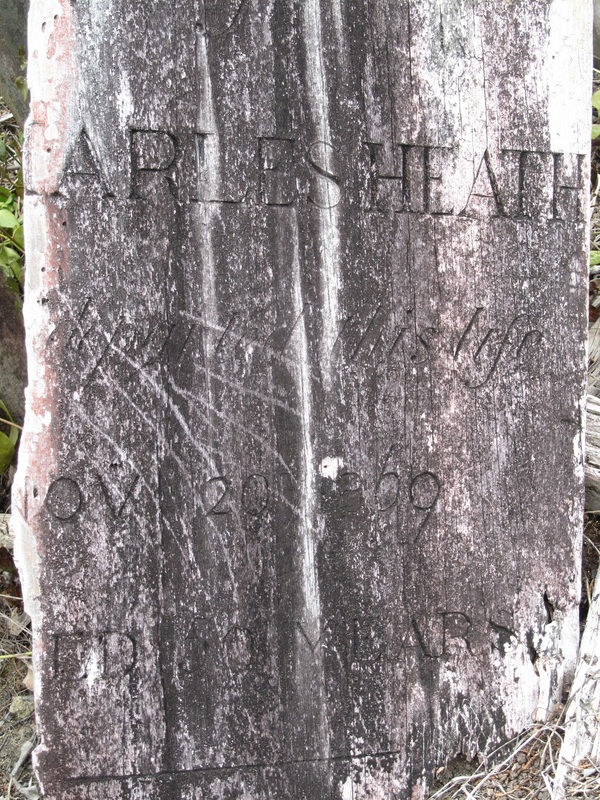 For the record there was a W. Heath also in the Kaipara area – perhaps a relation. Charles Heath and Charles Clark were also business partners until Charles Heath’s death, and would have known Charles Clark’s family. Interestingly Sarah Clark’s first child had Heath as a middle name – Elizabeth Heath Clark. 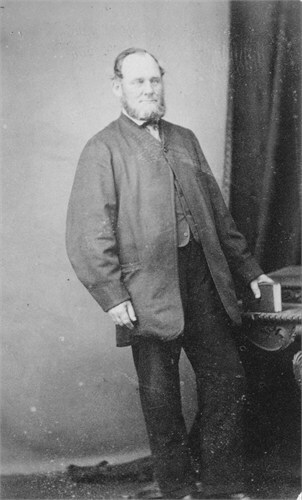 Charles Heath appears a number of times in the story of John James Stanaway, the one that stands out to me is at a settlers meeting held on 27 August 1869, where John motioned that Charles Heath take the chair. More than likely organised between John and another friend before Mr Heath arrived. I can imagine that the settlers present didn’t have time to sit down before John Stanaway and Mr Macefield motioned and seconded Charles Heath to be Chair of the meeting thus avoiding the positions themselves – such would have been the jovial nature of John Stanaway. 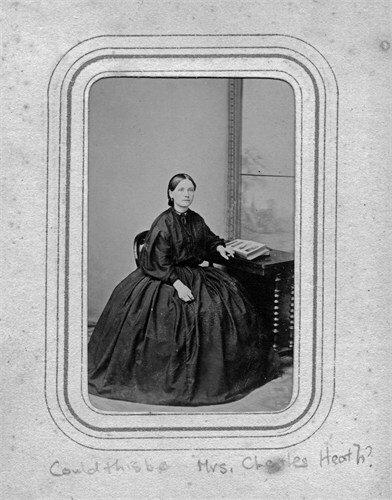 Elizabeth Jane Batten – Clarke Family Collection. Since I wrote you last, death has removed one of the oldest settlers in this district. Mr. Charles Heath, of the Whakahara, died on the 20th ultimo, after a painful illness of some duration. Mr. Heath presided at the last meeting held at Aratapu on the 27th of August last, but was at that time suffering greatly from the complication of disorders which terminated his life. On his return home he found the exertion of the day had been most injurious, and I believe he never after went away from home. He was attended on three or four occasions by Dr Bell, of Port Albert, whose administrations alleviated, but could not possibly remove, the cause of suffering. Dr Bell had been sent for a day or two before Mr. Heath’s death, and was present when it occurred. The funeral took place on Monday, the 27th ultimo, and was attended by nearly all the settlers on the bank of the river, including a number of the native population. There were not less than fifty individuals with whose names I am familiar. The remains were interred near to the summit of the high rock which narrows the Wairoa River at Tokatoka. The funeral service of the Church of England was impressively read by Dr, Bell. Mr. Heath has resided on the banks of the Wairoa since 1840, and has during that period carried on a successful trade with the natives and settlers. He was of honest and business-like habits, and was much respected by his acquaintances. He has left a wife and two children— it is satisfactory to know not unprovided for. The want of a suitable burial-place for the dead in this extensive neighbourhood has already been alluded to in your columns The need became very apparent on this occasion; and as a reserve has been set aside at Kopu, on the western side of the river, it was thought to make that the place of interment, but when the locality was sought for the place could not be identified. There is no enclosure nor boundary lines to tell where the reserve is to be found. The only suitability connected with the burial-place at Tokatoka is that two interments have already taken place there. I believe something was to have been done towards enclosing the place at Kopu and erecting a church thereon, under the auspices of the Rev. Mr. Gould, but, as the late Mr. Heath was one of his principal supporters, it is impossible to say what may be in the future. There are also reserves belonging to the religious bodies around the Tokatoka mountain, anyone of which would form a decent chapelry and graveyard, but there evidently lacks someone possessing the means and influence to take the initiative. Charles’ wooden headstone can still be found in the Tokatoka Cemetery, and has done well to last almost 150 years. On a marked copy of the Tokatoka township plan the section where todays Tokatoka Tavern is located has been indicated as being owned by the Heath’s, it is understood however that he lived further up river at Whakahara. On 15 October 1870 Elizabeth gets remarried to Rev. Breach. This is my Great Great Grandfather. We found this grave in the late 70’s after trawling around NZ looking for him. I was up at Tokatoka a month ago – it has always amazed me how his headstone (wood board) has survived so long as I understand he was one of the first people buried there – 1869! If there is anything you would like to add to the blog I had on him let me know – am happy to add.